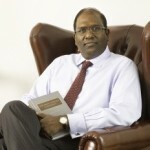 is Head of Chambers at Navaratnam Chambers. He is a graduate of Monash University, Australia and holds a Bachelor of Science and Bachelor of Laws. Nahendran has vast experience handling trial and appellate work in large corporate, commercial and administrative law disputes for private and public listed companies, major international and Malaysian financial institutions, multinational corporations and professional practices. He also acts in professional liability, tax, construction and commercial arbitration disputes. He also handles libel work, having acted in several high profile libel suits for and against leading local and international publications. He is especially familiar with capital markets and securities industry regulatory and enforcement disputes, having acted for and advised industry regulators. He is recognised by Legal 500, Chambers & Partners, Expert Guides and “PLC Which lawyer” as a leading individual for litigation and dispute resolution work in Malaysia. Nahendran has been described in Legal 500 as “very aggressive and astute”. Chambers says he is strongly endorsed for his “well-grounded opinions and his practical approach” and notes that “peers have the highest respect for him”. Asialaw Profiles 2013 describes him as follows: “Nahendran is a fantastic operator”.